In this second post in the series on Bluetooth 5, we cover the new feature of improved 2x speed along with a general overview of throughput for a BLE application (the previous post went over Bluetooth 5’s new features in general and more specifically covered the increased advertisement capacity feature). First, we need to understand that the speeds advertised (1 Mbps and the new 2 Mbps) are only theoretical and are cut down when it comes down to application throughput. This is due to multiple reasons which we’ll go over in the next section. The Bluetooth 5 “2x speed” feature requires a hardware update so older devices/chips/modules will not support it. It is also important to note that in order to achieve this higher throughput you will need both BLE devices communicating with each other to support the new LE 2M PHY (which makes it possible to transfer data at this higher rate). The new LE 2M PHY, as well as the original LE 1M PHY, are both called Uncoded PHYs since they use a 1-symbol representation per bit of data (in comparison to the new LE Coded PHY which uses a 2-symbol or 8-symbol representation per bit of data). Another important thing to note is that when utilizing the higher speed PHY, you actually achieve lower power consumption (given that you transfer the same amount of data). This is because the radio-on time is reduced without the transmit power being increased. This in turn also improves coexistence with other wireless technologies within the 2.4 GHz spectrum (also due to the reduced radio-on time). What’s the practical throughput to expect from BLE? What are the factors that impact/determine data throughput? How do you calculate your application data throughput? How do you maximize your data throughput? Why is it impossible to achieve the theoretical speeds of BLE? The part we’re interested in (and the one that really defines the application data) is the ATT Payload. 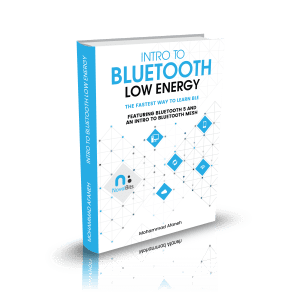 As you can see from the figure, there are a number of overhead bytes that are used by each layer in Bluetooth Low Energy. In 4.0 and 4.1, the maximum ATT Payload is 20 bytes. In 4.2 and 5.0, a new feature called Data Length Extensions (DLE) allows the ATT Payload to hold up to 244 bytes of data. Cannot be used to transmit the primary advertisements (on the primary channels). Can be used for the secondary “auxiliary packets” sent on the same channels as the data packets (37 channels: 0-36). 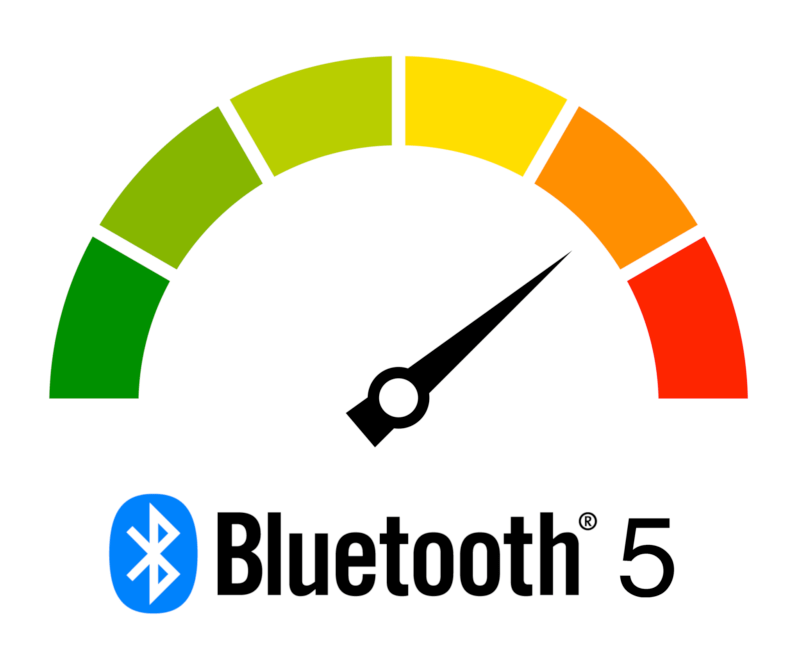 To learn more about primary and secondary advertisements, refer to my previous blog post: Bluetooth 5 Advertisements: Everything you need to know. LE 1M is mandatory, whereas LE 2M is optional. So, not all chips claiming Bluetooth 5 support can necessarily handle the higher throughput. Transfer of application data from one device to another usually happens during a connection between the two devices. 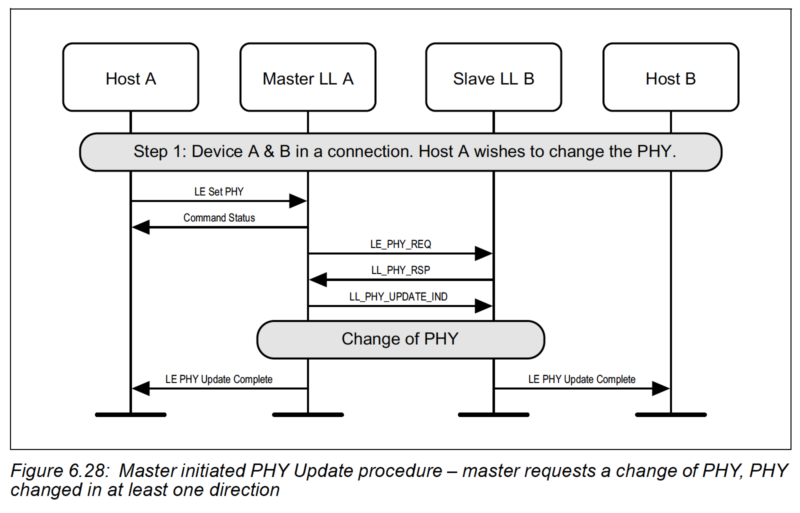 The connected devices can negotiate the use of a different PHY via the PHY Update Procedure. It can be initiated by either slave or master after a connection is established, but the master will ultimately make the final decision on which PHYs are used for each direction (based on the slave’s request and the PHYs the master supports). Let’s go over each of these in more detail. There are basically three PHYs in Bluetooth 5: the original 1 Mbps PHY, the new 2 Mbps, and the coded PHY (with S=2, or S=8). The PHY used will directly impact the maximum data throughput you can achieve since it determines the actual raw data rate in which packets are sent over the air. The connection interval effectively determines how many packets can be sent during one connection event. The higher the value, the more packets can be sent in one connection event (up to a certain limit for some devices). However, the number of packets per connection event depends on the device and BLE stack so it is limited and differs between devices and stack versions on a specific device. This value also depends on the operation of the device, so the radio may have to attend to other events and the number of packets sent per connection events may not reach the max allowed by the stack. For example, the number differs between iOS and Android and also changes depending on the version of the OS running on the device. Sometimes it is useful to dynamically update the connection parameters based on the use case. However, keep in mind that it is up to the master to accept these recommendations or update the parameters to accommodate them. This feature allows the packet size to hold a larger amount of payload (Up to 251 bytes vs. 27 when disabled). This feature was introduced in version 4.2 of the Bluetooth spec. ATT MTU Determines the max amount of data that can be handled by the transmitter and receiver and which they can hold in their buffers. The MTU value affects the amount of overhead data (specifically the ATT header which is 3 bytes). The minimum ATT MTU allowed is 27 bytes. This allows a max of 20 bytes of ATT payload (3 bytes are used for the ATT header, and 4 bytes for the L2CAP header). There is no limit per the spec on how high the MTU value can be, but the specific stack in use may have its own limitations. For example, if you enable DLE then you can transfer up to 251 – 4 = 247 bytes (after deducting the L2CAP Header size). After taking into account the ATT header (3 bytes), we are left with 244 bytes for the actual ATT payload data. If the MTU is at least 247 bytes then the MTU will fit into one single packet. If the MTU is greater than 247 bytes, then the MTU will span multiple packets causing the throughput to go down (because of the packet overhead and timing in between the packets). The effective MTU gets determined by the minimum value of ATT MTU that the client and server support. For example, if a client supports an ATT MTU of 100 bytes and the server responds that it supports an ATT MTU of 150 bytes, then the client will decide that the ATT MTU to be used for the connection from thereon is 100 bytes. If high throughput is desired then we can use Write without response or Notifications to transfer the data from the client to the server and from the server to the client. These operations remove the need for the other device to acknowledge receipt of the data and respond before the next block of data can be sent. The time interval between two consecutive packets on the same channel index is called the Inter Frame Space. It is defined as the time from the end of the last bit of the previous packet to the start of the first bit of the subsequent packet. The Inter Frame Space is designated “T_IFS” and shall be 150 μs. If the device receiving data has no data to send back, it still needs to send an empty packet as per the Bluetooth specification. As we saw in the packet format figure, the packet includes some overhead data that doesn’t count towards your application data (ATT data). Basically, these bytes will consume part of your transfer data rate while not accounting for any bytes being sent as part of your application data. The big question is: how do we calculate our application throughput? The Bluetooth version and PHY determine the raw data transfer rate. For example, if we are using Bluetooth version 4.2 and the LE 1M PHY, then the transfer rate is at 1 Mbps. If on the other hand, we are using the Bluetooth 5 LE Coded PHY with S=8, then the data rate goes down to 125 kbps. The DLE, ATT MTU, connection interval, the maximum number of packets per connection interval, Operation, and IFS all determine the portion of the on-radio time that’s utilized for actual data transfer. The packet format plays a big role in how much of the data being transferred is your actual application data. The LE 1M PHY and LE 2M PHY both have a similar packet format. The LE Coded PHY has a significantly different packet format, so we’ll be looking at these two cases separately. The amount of overhead for each PHY is slightly different. The Preamble is 1 byte in the case of the 1M PHY and 2 bytes in the case of the 2M PHY. The MIC field is an optional field that is used only for encrypted connections. For simplicity, we will only consider unencrypted connections – for the encrypted case, it simply adds 4 bytes of overhead. Determine the time it takes to send one data packet and the empty packet from the receiver. Data_Packet_Time = Time to transmit empty packet + IFS + Time to transmit the actual data packet + IFS. An empty packet transmission time can be calculated as follows:Time to transmit empty packet = empty packet size / raw data rateAn empty packet will contain the following fields: Preamble + Access Address + LL Header + CRC.For 1M PHY, Preamble will be 1 byte, and so the total size of the empty packet = 1 + 4 + 2 + 3 bytes = 10 bytes = 80 bits. When DLE is enabled and the ATT MTU is set to less than 247, we end up with more overhead (since now data larger than the ATT MTU gets split up into more packets). For example, say we have the ATT MTU set to 158, then in order to transfer 244 bytes of application data, we will need two packets instead of one, causing the throughput to go down due to the increased byte overhead as well as the increased IFS between the packets. In another scenario, we could have DLE disabled (Payload size up to 27 bytes) and the ATT MTU greater than 27 bytes. Here, this will also result in more packets needed to be sent for the same amount of data, causing the throughput to go down.Note: The same method for calculating the data and empty packet sizes that we used above can be used for the LE Coded PHY. Usually, this number is not realistic as there are timing delays between packets being sent on consecutive connection events. So, for our example, we will go with 2 packets instead of 3. In this section, we will run multiple tests of data transfer, calculate the throughput using the procedure we described earlier, and then compare them with the measured throughput reported by the application running on the development boards. The tests are run based on the demo app provided by Nordic Semiconductor and featured in this blog post: Throughput and long range demo. Source code for the example can be found at the GitHub page here. Sent 1048580 bytes of ATT payload. With the MTU set to 23 bytes, DLE does not really affect the data throughput and packet sizes. As we can see, the calculated value and measured value are pretty close. Sent 1048730 bytes of ATT payload. Sent 1048712 bytes of ATT payload. Note: In the last two cases, the number of packets per connection interval is small and any difference between what we calculate and is measured will have a big impact on actual data throughput. For example, if the number of packets per connection interval end up being 4 instead of 5 in the Case 4, the calculated throughput becomes 1,041.1 Kbps instead of 1,301.33 Kbps (which is a big difference and could explain the discrepancy in numbers here). If you know that the devices on both ends support Bluetooth 5, then utilizing the LE 2M PHY is one of the best ways to maximize your application data throughput. Using the LE 2M PHY will also help reduce power consumption, so you hit two birds with one stone! Utilizing these will help remove any unnecessary packets being transmitted (compared to Indications and normal Writes which require the receiving end to acknowledge each packet received). This will minimize any overhead in packet bytes. But keep in mind that the connection interval affects power consumption. The shorter the interval, the more power your device will consume because of the increased radio-on time. You also want to make sure you don’t choose an interval that’s too high, otherwise, it’ll compromise the user experience (higher connection interval results in higher latency). One last thing to make sure you account for is any limitations of the devices in your system in terms of the maximum number of packets per connection interval supported. Hope you found this post useful. As always, feel free to comment or ask any question in the comments section below. Question: How do I calculate throughput for a BLE link? Good evening!!! Great explanation. Will there be a post where is described how to achieve maximum range with Bluetooth and 5 is it possible to organize the mesh network over the 5 Blutooth not making life too difficult?)) Thank you!!! Yes, there will be a follow-up post on how to achieve longer range using Bluetooth 5. Another one covering Bluetooth Mesh will also follow! Hi, it so great work and awesom description of understanding BLE throughput. You use 1 byte preambule for 2Mbps during in real it 2 bytes. Yes, you’re absolutely correct (except Case 3 is 1 Mbps so it’s already correct) – thanks for the correction. I’ve gone ahead and fixed the miscalculations. The only reason was that I used the existing example from Nordic and they had those values built in and easy to choose from a menu via the Serial port. They can easily be changed, however. Dear Mohammad, thanks a lot. Great und understandable overview. I have a question regarding Audio Streaming. Is it possible to stream audio signal for example 345 kbit/s using Bluetooth5/BLE? Thanks, Youssef. Glad you’ve found it useful! – Power consumption will be very high when streaming data at this speed for prolonged periods of time. – Latency may become an issue, depending on the application. For example, if you have the central device communicating with other peripherals, then the data rate may get affected, as well as the latency. You’ll also need to make sure that the different connection parameters are chosen appropriately to allow for this kind of behavior/application (streaming data at the specified frequency). There’s a new spec in the works to allow audio over BLE. I don’t know the timeline for the release of this spec, but it’s definitely coming in the future. I am currently working on this throughput example on two Nordic nRF52840 DKs and trying to calculate the theoretical throughput values and compare them to the real ones. Already for case 1 (att_mtu: 23, conn_interval: 7.5, dle: on, phy: 1M) I am a little bit confused. I am getting a throughput of roughly 86 kbps. Your calculation is based on packet transmission times and the asumption, that 11 packets are transmitted in one connection interval, but isn’t Nordic giving 6 as the maximum number of packet transfer per interval (S132, SoftDevice Specification v5.1, Page 56, Table 27: Maximum peripheral packet transfer per Bluetooth low energy Radio Event for given combinations of Radio Notification distances and connection intervals)? If I calculate the throughput by [connections per second] * [data per packet] = (1000 ms/7.5 ms) * 20 bytes * 8 = 21,3 kbps and multiply it by 4 (just one of Nordics given numbers for packet transfer), I will get ~85 kbps. I completely understand you way for the theoretical calculation, which absolutely makes sense to me, but the result from your throughput test isn’t clear to me. From which SDK do you have taken this example? I used the example source code provided by Nordic for the Bluetooth 5 throughput test, available here. I can see what you’re referring to in terms of maximum packets/connection interval – I hadn’t seen that before. Interestingly, in the example, I was using s140 (not s132), and I can’t find the spec for the s140 (though I imagine it probably has the same restriction). If the max 6 packets/connection interval is true, then I’m not sure how I’m seeing a throughput of 232.29 Kbits/s reported by the firmware (which is very close to the calculated value). Have you asked on the Nordic DevZone forum about this? I am using the s140 SoftDevice too, as I am developing on nRF52840 DKs. Maybe I will try this example on s132, but I doubt that there will be any differences. I haven’t found any specs for the s140. Are you sure, that you enabled the Data Length Extension? A test run with the same parameters, but with DLE “enabled” instead of “disabled” will lead to ~250 kbps, which is on the other side not as close to your calculation. I also thought about influences by the Connection Length Extension. In the Nordic examples, it is enabled by default and if I understood it correctly, it will increase the number of packets per Connection Intervall. Maybe that’s the reason why it is possible to transmit more packets than 6. I posted a question in the comment section regarding this throughput example. Hoping for an answer in another question in the Developer Zone. Do you have experience about how fast could the latest BLE-5 capable smart phone achieve (iPhone8/X, Galaxy8/Note, etc). Even devices can support up to 1.4Mbps, many smart phone and OS has limitation, I want to know what is the realistic speed from phone to device. Thanks. So sorry for the latte response – missed your message somehow. I don’t have much experience with the mobile side, and I haven’t done much testing between a mobile phone and an embedded device. However, I’ve seen videos on YouTube that demonstrate comparable speeds to 1.4 Mbps between a phone and a development kit, both running Bluetooth 5. Joe, good to know. Thanks for sharing! What about the distance between the two devices? Were you using the nRF52840 Preview Development Kit as well? Thanks for your greats articles on BLE 5, it really helps ! I know my content has been lacking recently, and my post on Bluetooth 5 range is way overdue! However, my focus in the past few months has been on my upcoming e-book which will be released next month. The topic is covered in my e-book so I promise to cover it here on my blog (shortly after the release of the e-book). Thanks to your efforts to write these articles on BLE 5 and make it easy for other people, it really encourages us. Are you also willing to write an article on BLE Mesh throughput? Thanks to your efforts to write these articles, it really encourages us. Are you also thinking to write about BLE Mesh throughput calculation? Hi, I am using nRF52840 DK. Could any one please tell me how many information bits in case of BLE 5 coded mode and uncoded mode?